Orthopedic and sports medicine doctor in Los Angeles Mark Getelman, MD has launched a new orthopedic education website LASPORTSORTHOMD.COM developed by eMedical Media. As a leader and innovator in the field of orthopedics, Dr. Getelman has recently co-authored a highly acclaimed textbook on Shoulder Arthroscopy detailing the latest and most advanced arthroscopic techniques, and he also pioneered the Hospital-Corner Repair for the treatment of shoulder instability. As a national leader in his speciality, he recently completed his term on the Board of Directors of the Arthroscopy Association of North America and was recently named the most outstanding medical specialist in a tri-county region. The website has been designed to help patients learn about the anatomy, pathology, diagnosis and current treatment options for acute and chronic shoulder and knee injuries. Dedicated to educating patients, Dr. Getelman created this website to help patients advocate for their own best care. Dr. Getelman specializes in disorders of the knee and shoulder with an emphasis on sports medicine. 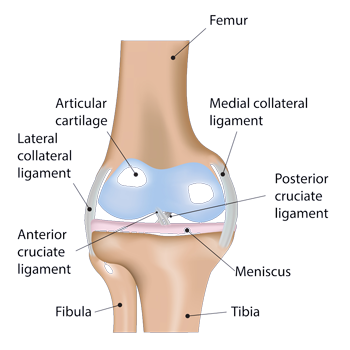 The knee is the largest joint in the body and the shoulder is the most mobile joint in the body. These two joints are extremely susceptible to sports and work-related injuries. Through this educational portal, patients can improve their knowledge of knee and shoulder pathology along with the most up-to-date treatment options available. Orthopedic and Sports Medicine Doctor in Los Angeles, Dr. Getelman – with the support of his team – is focused on keeping people of all ages active by providing the most progressive treatment for shoulder and knee conditions along with all sports related injuries. For patients who are seeking a diagnosis or second opinion, Dr. Getelman sees patients in his Van Nuys and Thousand Oaks offices and also offers film reviews and consultations. To make an appointment, please call the office at 805-367-8888 or click here for his contact form. Shoulder and Knee Specialist and Sports Medicine Doctor in Los Angeles, Mark Getelman, MD is board certified in orthopedic surgery and sports medicine. He practices at the Southern California Orthopedic Institute with offices located throughout the greater Los Angeles, CA area. His sub-specialty practice focuses on the arthroscopic and minimally invasive treatment of the shoulder and knee, such as rotator cuff and labral repair, articular cartilage defects surgery, knee ligament reconstruction and shoulder stability treatment. Dr. Getelman has returned patients of all activity levels to sports participation after treating new injuries or revision of previously failed surgeries.